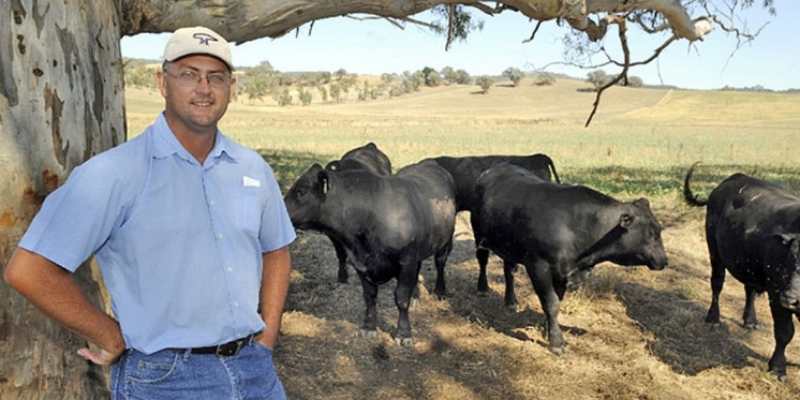 GOODBYE: Stephen Handbury has made the difficult decision to scale Anvil Angus back to a commercial operation. The stud will hold a dispersal sale this November. STEPHEN Handbury is putting his family first. Stud principal at Anvil Angus, he has made the toughest decision of his adult life – the stud will disperse, so the family can relocate to Melbourne. It is a not a decision Stephen, nor his wife Melissa, have made easily; they have poured their heart and soul into running one of the state’s best breeding operations. But family is more important. “We need to move back to Melbourne with our son, who has autism,” Stephen explained simply. “When we put this (the stud) together, dispersal was the last thing on our minds – we envisaged we would have children that would one day take over the operation. “Our two boys both have autism – Logan, to the point where he couldn’t work on the farm, and Thomas has no interest in it. For well over a decade, Stephen carved a reputation for Anvil as being a stud that considered more than just numbers when it came to breeding. Back in September last year, he spoke to the North East Farmer about trips abroad to assess each bull purchased internationally. “Anyone with a calculator can breed a bull with great numbers – we want to breed a cow that will last 10 years, have at least eight calves without issue, and produce a quality line,” he said at the time. In a market saturated with estimated birth values, weight percentages and marble scores, Mr Handbury said the Anvil point of difference was to develop strong maternal characteristics. “A lot of bulls that look good on paper don’t look good in the flesh,” he said. Now, that same breeding ethos will be offered to the marketplace when Anvil holds its final spring bull sale. In November, the stud will hold a dispersal sale – and from there, operate as a commercial enterprise. “It takes a huge amount of time to run a stud – compared to a commercial operation – and something has to give,” Stephen said. More information about the commercial sale will be posted on the Anvil Angus website as the date draws nearer – go to www.anvilangus.com.au to stay up to date.